Gulfport, MS, USA (Sept 30, 2015) — Over the past several months, the Gulfport Redevelopment Commission has requested and accepted proposals from architectural firms for the design of the Mississippi Aquarium at Gulfport. 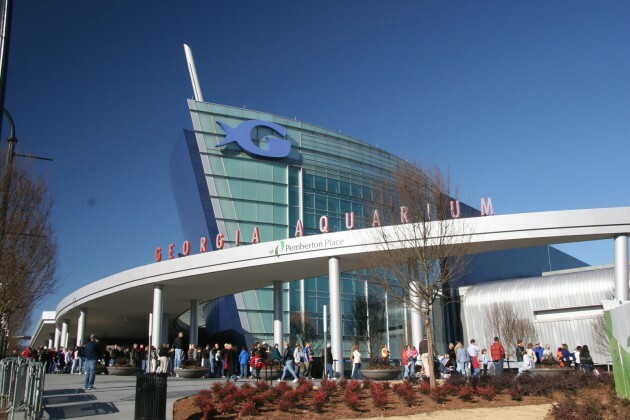 The requests for proposals sought nationally recognized designers to team with local firms to provide Gulfport with a unique aquarium experience. After reviewing a number of proposals and interviewing firms, the GRC announces that the Commission will be entering into contract negotiations with the team of Eley Guild Hardy (EGH) and PGAV of St. Louis, Missouri. EGH, with offices in Gulfport, Biloxi, and Jackson, is responsible for many of the designs we see today in Gulfport, including the Robert J. Curry Public Safety Center and the Jones Park project which includes the Barksdale Pavilion. PGAV is the themed industry’s largest independent design firm and has designed over $5 billion in themed entertainment venues. Clients include Busch Gardens, Herschend Family Entertainment, Samsung, SeaWorld, Universal Studios, Georgia Aquarium, and the Grand Aquarium at Hong Kong’s Ocean Park. Additionally, other clients include Bass Pro Shops, National Geographic and the Kennedy Space Center.